Rink Rover: Happy Bloggerversary to Me! 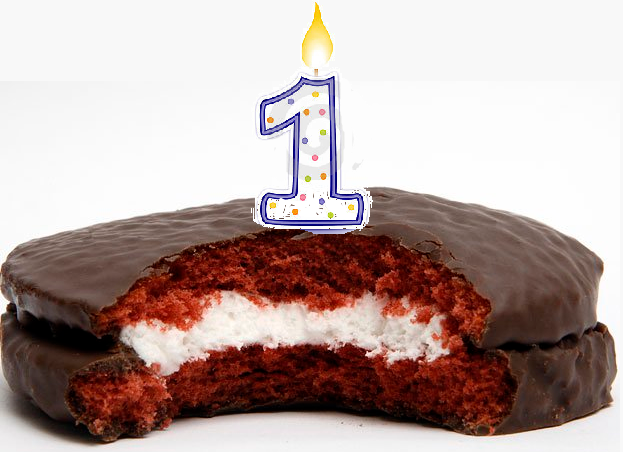 RinkRover turns one-year old today!!! When I was a kid, our teacher would give each student a Jos. Louis on his or her birthday. Thus began my lifelong obsession with monetarily-cheap but physiologically-costly chocolate. I'd like to celebrate this milestone by writing a retrospective on the past year. Enjoy! Most popular post: Daniel Alfredsson has been very kind to my blog by providing plenty of material for comic and critical posts. My most popular post to date was a pictorial rendering of the Senators organization and Sens Army coming to grips with Alfie's abrupt and unceremonious defection to the Detroit Red Wings. Check out the post here. So, I guess I owe a big "Thank You!!!" to Alfie for being an unfeeling cup-chaser? After all, the Sens' biggest loss has certainly been my gain. Least popular post: I'm lucky that some of my biggest duds dropped early in the blog's history. There are a few tied with less than a half-dozen hits, but the most notable is a piece comparing Ron Wilson's misuse of Nazem Kadri to (former SNL executive producer) Jean Doumanian and her horrendous underappreciation of Eddie Murphy. Would you be kind enough to give it a "pity click" (PWEASE!)? Most controversial post: Since fighting has become a hotly-contested issue among fans, it's no surprise that my proposal to replace the shootout with fighting became my most disputed post. The post itself was meant to mock observers who reviled the rise in shootouts and fights during the lock-out shortened season. To my surprise, some people took my suggestion, that we adapt the conventions of pre-industrial warfare to hockey, seriously. To me, this misunderstanding raises concerns about media literacy. But maybe I didn't make the piece self-consciously absurd enough to establish that it was meant to be humourous. Feel free to judge the post as you wish. Top Five NHL Teams: Here are my favourite teams based on how many times they've been tagged in a post. As I suspected, I pay way too much attention to the Leafs. To branch out a bit (pun intended), I tried to focus on other teams during the current NHL season. Unsurprisingly, the Leafs started to play better when I stopped writing about them. Then, right before the schedule resumed after the Olympic break, I wrote a post about Toronto, and the team proceeded to drop two games in OT. This evidence means that I will continue to write about the Leafs on every day from now until the end of the season unless MLSE pays for my silence. Yikes, the only post that tags TBL is a poor representation of the team. The post looks at Mark Fraser fulfilling expectations by fighting Keith Aullie (and thereby offering a reboot of Ali vs. Frazier). That post certainly doesn't capture what Tampa's all about, so I'm going to make it up to Stamkos et al. by giving them attention that is worthy of their roster. 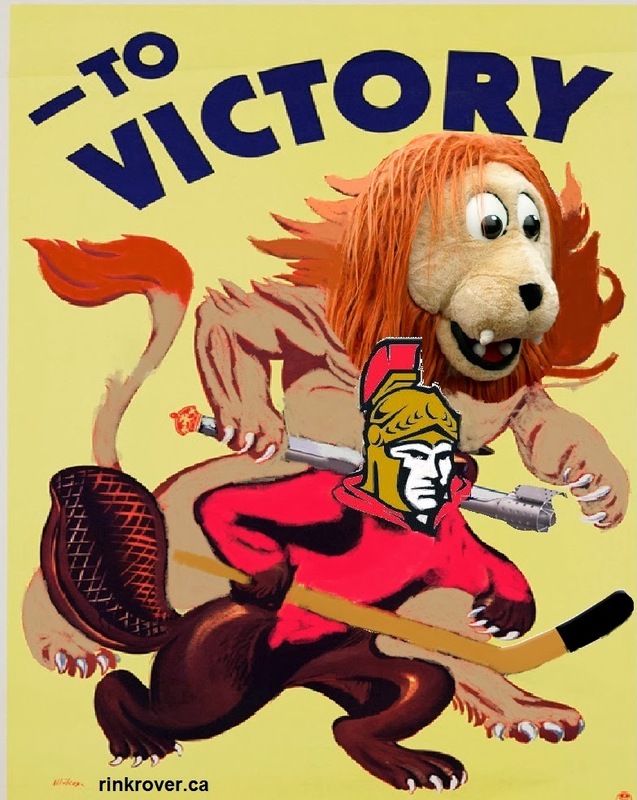 Favourite mascot: The most discussed NHL mascot on this site is Spartacat. All rivalries aside, Spartacat is an awesome mascot. The Sens have done a great job developing an energetic and entertaining frontman whose exuberance is as untamable as his unruly mane. Carlton comes in second on my list, but he shouldn't really count as one of those posts focuses on suggestions for completely redesigning him. Nothing epitomizes the truculence, pugnacity, and (other angry words that the Leafs aimed to embody) less than Carlton. Sadly, I've mostly overlooked Harvey the Hound, who is by far the best mascot I've ever seen. He walks on ledges around the arenas; he badgers opposing fans; he makes steals people's seats. In short, even with the Flames sucking, Harvey provides fans much needed entertainment with his antics. He is much more than an ominous floating head. Blocks on twitter: Two...that I know about. One is a fellow blogger who would no longer suffer our difference of opinion regarding hockey fights. The other is TSN's Ray Ferraro, who apparently draws the not-taking-anymore-crap line at being criticized over erroneous comments that he made about My Little Pony. Lessons learned: Looking back at this blog gives me a great appreciation for how unpredictable a readership can be. When I started the blog, I focused on humour. Many of these nonsense posts did well, but so did the more thoughtful contributions to the discourse surrounding the sport. So, if I were to offer any advice to aspiring bloggers, it would be write whatever seems to work because there's no way of telling what people want to read and when they want to read it. I guess the trick is to enjoy blogging since (unless some massive sponsorship kicks in soon) I'm producing posts for the sheer enjoyment of it. 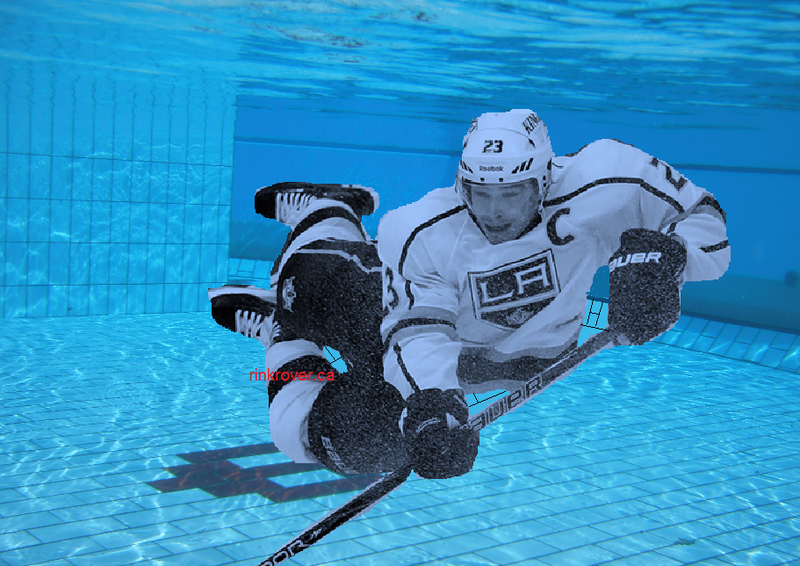 Here's what I thought the game between the Anaheim Ducks and Los Angeles Kings at Dodger Stadium would look like. Whoops!